The Porch Room in Sam French OOB Festival! Samuel French clearly knows genius when they see it. 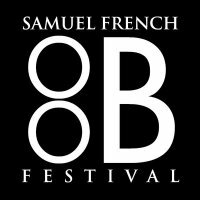 That’s why they have selected not one, but TWO Porch Room plays, out of hundreds of entries, for this year’s Samuel French Off-Off Broadway Festival. “Drop” by J. Michael DeAngelis and Pete Barry, and “Nine Point Eight Meters Per Second Per Second”, also by Pete, will be performed at the Peter Jay Sharp Theater with thirty-eight other short plays. The winner of the competition will be contracted for publication by Sam French. We’ll keep you updated as to dates of performances, so you can tell your children that you were there when the Porch Room was finally distributed in print throughout the world, thereby causing the irreversible corrosion of civil society! This year, Samuel French is creating a blog of the contest, including interviews with the playwrights. Check it out at Samuel French’s Forty Days to Forty Plays Blog. UPDATE: Both performances will now be held on the MAIN STAGE at Playwright’s Horizons!! It’s the same address, just a different theater.